Good connections: by the snap-in adapter, the phone is connected to the external antenna of the vehicle. The connection to the external antenna reduces the radiation inside the vehicles. Safely stowed away: the snap-in adapter is precisely matched to the iPhone 6TM and thus a safe and stable storage system in the vehicle. • It designed for BMW E34. • 1 set = 2 big/2 small rings. • Easy to install, Good Quality. Clip on and don't need glue. -We sold this ring over 3000 pcs. -Product made from our factory in Thailand. BMW E87 118I 120KW (2004-2007) 5 DRS. Car Model: BMW E87 118I FROM 2004 TO 2007. Engine code: 204D4. Internal reference: 9196. Fits to BMW 5 Series E32 E34. E32 for BMW. E34 for BMW. Category : Trim & Rim & Ring. "Snap into", don't need 3M backing tape and glue. BMW 1 SERIES. E87 for BMW. Simple to upgrade to make your car stand out. 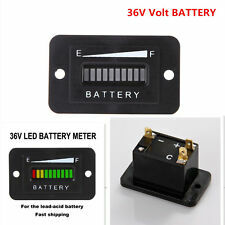 (1) 36V LED Battery Indicator Gauge. When use with a new battery, it should be powered on for at least 2 minutes to indicate the real battery state. Connection: Pin Battery Pin- Battery- C-single output for external use. It fits into your Airline or directly onto a Spray gun to prevent water contaminating paintwork. 1 x In-Line Water Trap Filter. Air Inlet: 1/4". Water Air Filter Pressure Regulator. This is a compact filter unit for use with Air and Spray Guns. BMW X5 Vairolazdes apatine apdaila. BMW X5 Lenksäulenverkleidung Verkleidung Unterseite. BMW X5 Кожух рулевой колонки нижний. Type of fuel: Petrol. BMW X5 Vairolazdes virsutine apdaila. BMW X5 Lenksäulenverkleidung Verkleidung oben. BMW X5 Кожух рулевой колонки верхний. Type of fuel: Petrol. BMW 5-Series Vairolazdes virsutine apdaila. BMW 5-Series Lenksäulenverkleidung Verkleidung oben. BMW 5-Series Кожух рулевой колонки верхний. Type of fuel: Diesel. Model: 5-Series. BMW 5-Series Vairolazdes apatine apdaila. BMW 5-Series Lenksäulenverkleidung Verkleidung Unterseite. BMW 5-Series Кожух рулевой колонки нижний. Type of fuel: Diesel. Model: 5-Series. 491220: 32303405271 USED BMW X3 Steering Column Cowl Trim Panel Bottom 2004. 491220: 32303405271 USED BMW X3 Vairolazdes apatine apdaila 2004. 491220: 32303405271 USED BMW X3 Lenksäulenverkleidung Verkleidung Unterseite 2004. BMW X5 Vairolazdes virsutine apdaila. BMW X5 Lenksäulenverkleidung Verkleidung oben. BMW X5 Кожух рулевой колонки верхний. Type of fuel: Diesel. 11616540 used BMW 5-Series Steering Column Cowl Trim Panel Bottom 1997. 11616540 used BMW 5-Series Vairolazdes apatine apdaila 1997. 11616540 used BMW 5-Series Lenksäulenverkleidung Verkleidung Unterseite 1997. BMW 1-Series Vairolazdes virsutine apdaila. BMW 1-Series Lenksäulenverkleidung Verkleidung oben. BMW 1-Series Кожух рулевой колонки верхний. Type of fuel: Petrol. Model: 1-Series. 6758854 74850610 BMW X5 Steering Column Cowl Trim Panel Bottom 2002. 6758854 74850610 BMW X5 Vairolazdes apatine apdaila 2002. 6758854 74850610 BMW X5 Lenksäulenverkleidung Verkleidung Unterseite 2002. 490795: 6131695537401 6131-6955374-01 BMW 1-Series Steering Column Cowl Trim Panel Top 2004. 490795: 6131695537401 6131-6955374-01 BMW 1-Series Vairolazdes virsutine apdaila 2004. 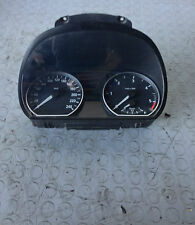 490795: 6131695537401 6131-6955374-01 BMW 1-Series Lenksäulenverkleidung Verkleidung oben 2004. Probe Material: Stainless Steel. The temperature range: 200℃ to 1200℃. Adjustable Pressure Lock (Adjustable Length). Cable Length: 195.5cm. We will reply you within 24- 48 hours. Color: Carbon（Black Stripe as pic shown）. Universal Fit the left hand drive Vehicles. Width: Like the picture show. We will reply you within 24- 48 hours. we will do our best to provide the better servece. Universal K-Type EGT Thermocouple Temperature Sensors For Exhaust Gas Probe. Thread: 1/8 NPT. Probe Material: Stainless Steel. The temperature range: 200℃ to 1200℃. Adjustable Pressure Lock (Adjustable Length). 10 mm for Mitsubishi, Jeep, Dongan 465Q. Ambient temperature: -40 ° ~ 85 °. Electronic digital display, more clear and intuitive. Cable length: 3M Material: Engineering Plastic Shell. Condition: New Manufacturer Part Number. Exhaust System Diagnostic Tool Exhaust Back Pressure Tester. Adaptor fits into oxygen sensor hole enabling back pressure of mufflers and catalytic converters. Gauge adapter threads into oxygen sensor ports (both 12mm and 18mm). MPN 62309154617. Engine code (located at point P5 of the booklet): M57D30. Power: Diesel. For more information and prices. The gauges fit in a 52mm hole. Included Adapter/Fitting: 1/8" NPT Male to 1/8" compression fitting. 1/8" NPT Female to 1/8" compression fitting. Water Temperature Gauge:100-220° F,38-104°. Top edge has four mounting holes. Foot piece specifications (32 kinds) Foot body using 65 # Mn. Foot body 3.5in. Accuracy: 0.005 /-0.003mm. 0.50, 0.53, 0.55, 0.58, 0.60, 0.63, 0.65, 0.70, 0.75, 0.80, 0.88mm. We will reply you within 24- 48 hours. 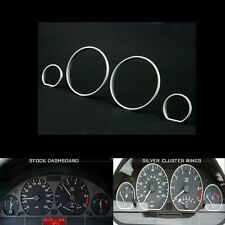 Universal 3 Holes Car 52mm Mount Gauge Holder Pod Protect For Right Driving Car. Color: Carbon fiber pattern（as picture shown）. 1 x 3 Holes Mount Gauge Holder. Universal Fit the right hand drive Vehicles. Color: Carbon fiber pattern（as picture shown）. 1 x 3 Holes Mount Gauge Holder. Universal Fit the right hand drive Vehicles. We will reply you within 24- 48 hours. Uses OBD2 bluetooth connection. Great for NA vehicles with OBD2 (does not display boost or oil pressure). OBD / Bluetooth Unit. Shift indicators - user defined (green, orange and red). Clear, bright, high visible green backlit LCD display. 1 x 3 Holes Mount Gauge Holder. Material: ABS. Universal Fit the left hand drive Vehicles. Color:Black （as picture shown）. We will reply you within 24- 48 hours. 1x Water temp Gauge. 1x Water temp sensor. Water temperature alarm: 95 -110℃. Cable length :approx.300cm. Material:Plastic Shell. (Red black) --- power -. We will reply you within 24- 48 hours. 5D Black Carbon Fiber Gloss Autos Interior Trim Decor Vinyl Sticker Film 15"x40". 52mm / 2in. Black Car Vehicles Mini Air Bag Simulator Bypass Garage SRS Fault Diagnostic Kit. 1 Pcs ABS Plastic Car Safety Seatbelt Adjuster Booster Buckle Aid Clip For Mazda. Test frequency Range: 100MHz--1000MHz. 1pc x Frequency Tester. We will reply you within 24- 48 hours. Color: Carbon（Black Stripe as pic shown）. Universal Fit the left hand drive Vehicles. Width: Like the picture show. We will reply you within 24- 48 hours. Blade Sizes Imperial: 0.0015, 0.002, 0.0025, 0.003, 0.004, 0.005. Blade Tool. Foot piece specifications (32 kinds) Foot body using 65 # Mn. Foot body 3.5in. Color: as picture shows. Total length: approx. Color: Carbon fiber pattern（as picture shown）. 1 x 3 Holes Mount Gauge Holder. Universal Fit the right hand drive Vehicles. Easy to install,Installation instructions not included. Material: ABS. We will reply you within 24- 48 hours. Tractor Diesel Outboard Engine Rectangular. Size approx. 5.5x6.0x3.2cm / 2.17" x 2.36" x1.26". Color: Black. We will reply you within 24- 48 hours.